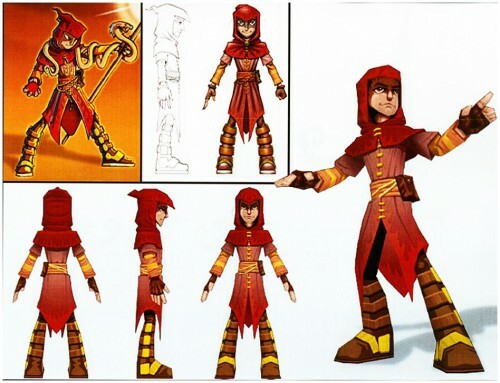 How many times have you crossed over to a new area in Wizard101 and thought, “Hmm, I wonder what the story is behind those two wizards on the transition screen?” To answer that question, we’re going to show you some really neat “Throwback Thursday” character concept art we found tucked away in our Lead Artist’s desk drawer! Karl Holbert, Lead Artist for Wizard101 since 2010, has seen just about every piece of concept art since the dawn of Wizard101, and he was kind enough to show us a few gems from his treasure trove of unseen concept art, which has been passed down from Art Lead to Art Lead over time. 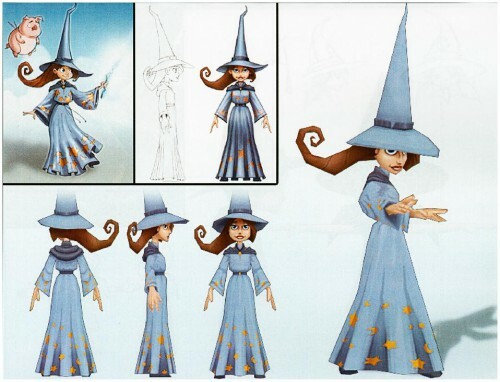 In fact, the following Throwback Thursday pictures were actually scanned from an old spiral-bound book that contained information from a meeting held way back in 2005—a time when Wizard101 was just being dreamed up and Karl was just one of the team of artists working together to keep the look of the game in line. Do the poses in the top left corner of each of those character sheets look familiar? They should! Even more shocking, could you imagine what playing Wizard101 would be like if your characters looked more the following concept art pieces? Wow! 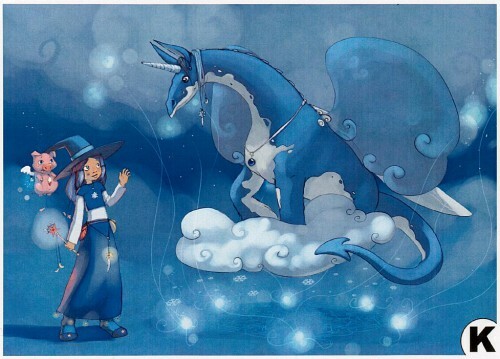 Also in Karl’s book was this amazing drawing of a girl and her piggle visiting a dragon unicorn floating on a cloud! 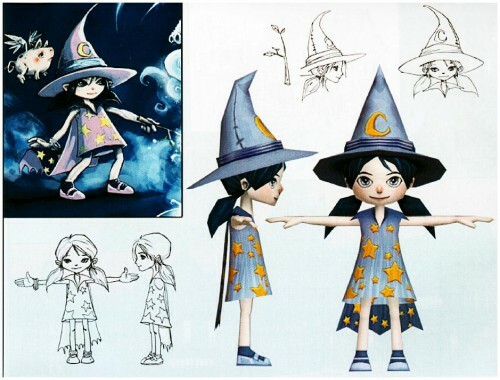 The art style may be different, but it looks to us like her outfit eventually became the “Celestial Garment” style you can purchase from Eloise Merryweather in the Wizard City Commons! We’re happy we could share these with you today, and let us know what you thought of our Throwback Thursday pictures. We’ve got some more gems to share . . . if we can sneak them off of Karl’s desk! Oh I LOVE Them 😀 *Hands cookies to leave a trail and lure Karl away*. omg, so many memories are returning to me after all this time… 7 years i have played and the olden days were the best in my opinion… Thank u for posting this and returning my Childhood start!! I would love that dress in the second one too!!! !